Cobb Salad at a restaurant -- no cheese, with oil and vinegar on the side. 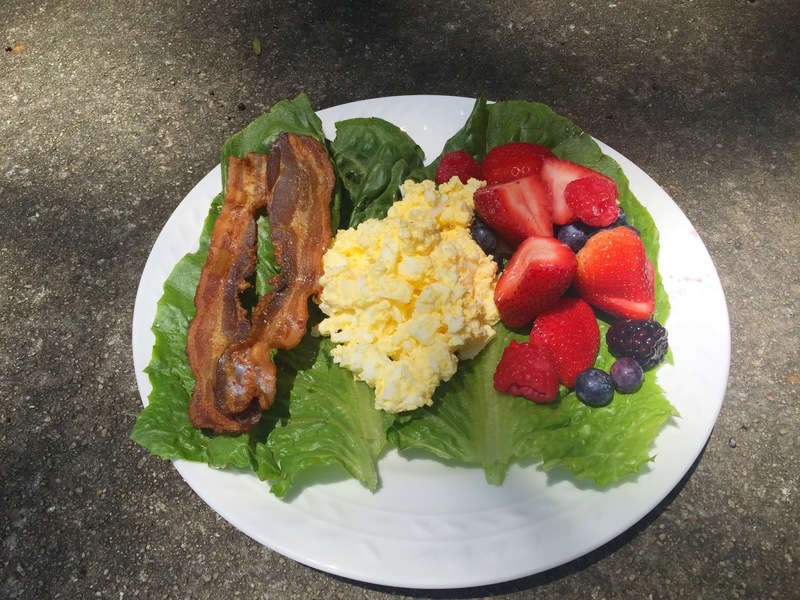 Well, I've made it through my first week on Whole30! I still don't feel the amazing boundless energy that so many people talk about while doing this, but I assume that's something that won't happen until farther down the road. Do I have more energy overall? I'd say yes. Am I sleeping better? Well, I don't know. I've always been a pretty good sleeper, but I have noticed that I'm sleeping a little harder than I used to. I haven't had any stomach issues since beginning this, and I've definitely noticed that I'm no longer hungry in between meals. In fact, I usually have to force myself to eat dinner. Some nights I just have no appetite. And I no longer feel the need to eat all the food on my plate.. I'm able to recognize that I'm full much faster. 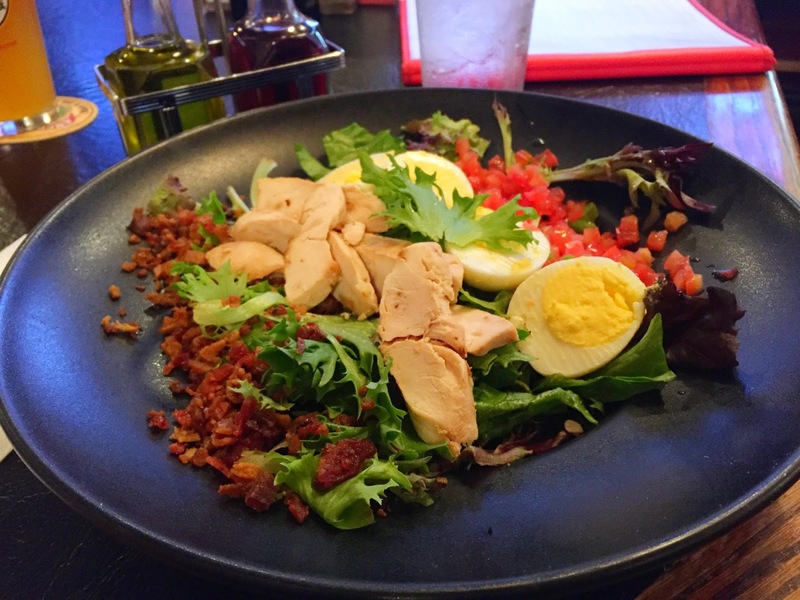 I've read multiple reviews from people who have done the Whole 30, and they all complain about how hard it is to follow through with. I never thought I'd say this, but this diet really isn't that hard at all. Granted, I've only been doing it for 8 days now, but I haven't had a moment where I really felt like I couldn't continue. 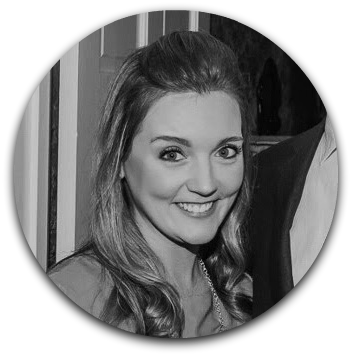 The cooking doesn't HAVE to take that much time.. people are so intent on finding fancy recipes that are incredibly involved and time-consuming, but it really doesn't need to be that difficult. I enjoy the simple recipes -- scrambled eggs or vegetables roasted in coconut oil or baked chicken. I think it's easiest to start off slow, and then get into the more complicated recipes once you get a grip on the basics. There are so many things that you can do with the Whole30, so I can see how it would be easy to get a bit overwhelmed. That's why the basics are the best to start with. 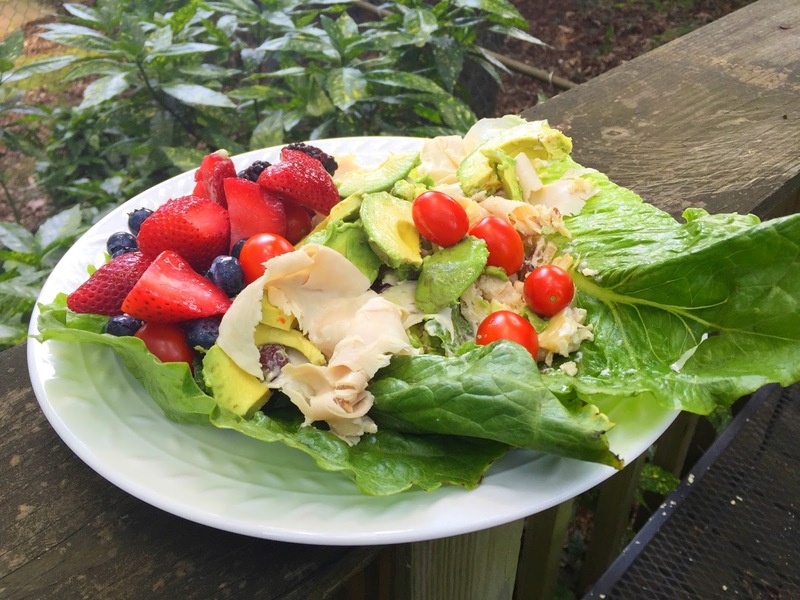 Deli turkey w/ avocado, tomatoes and berries on greens. I know most people read these Whole30 reviews mainly to see how much weight people have lost by following this plan. However, I'm only a week in, and if you know the general guidelines of Whole30 you know that I'm not allowed to weigh myself until the end. That, in itself, is a great thing for me. I'm still in the "don't want to know" camp when it comes to the number on the scale. I'm afraid I'll step up there and see a number that I have no desire to see. Ignorance is bliss, right? So maybe I'll weigh myself after 30 days. I know basically how much I weigh, given my weight at a fairly recent doctor's appointment. I'm more interested in the inches lost than I am pounds lost, but I figure I'll be able to tell best by the way my clothes fit me. So I may be the most boring Whole30 follower ever, but in addition to the "simple" meals, I really don't have a problem repeating myself. For breakfast most mornings I'll have eggs and fruit, for lunch I'll eat my homemade chicken salad or egg salad with greens, avocado, tomato and/or fruit, and for dinner I seem to be rotating meats -- hamburgers or baked chicken or beef tenderloin with sautéed vegetables and a little fruit on the side. Am I eating too much fruit? That's a good possibility. But I figure for such a drastic change in my diet, I can afford a little more fruit in the beginning. After all, fruit is infinitely better than processed food. I'll leave y'all with pictures of some of my most recent meals, and I'll be back next week for my next update! Until then, I hope everyone is enjoying the beginning of summer! 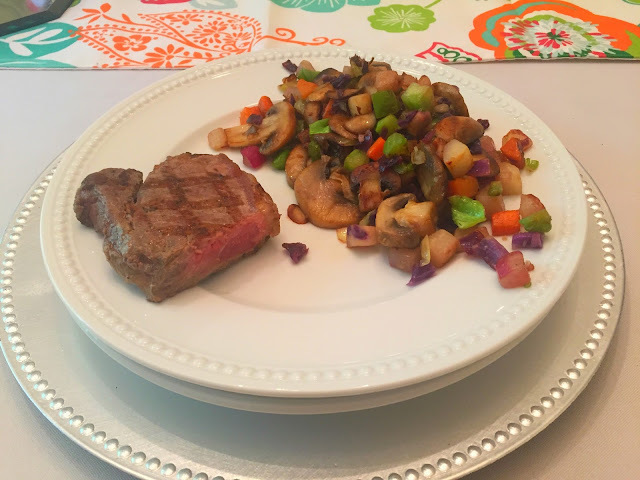 Leftover steak with sautéed mushrooms and Trader Joe's vegetable mix. Scrambled eggs, bacon, and berries on greens. 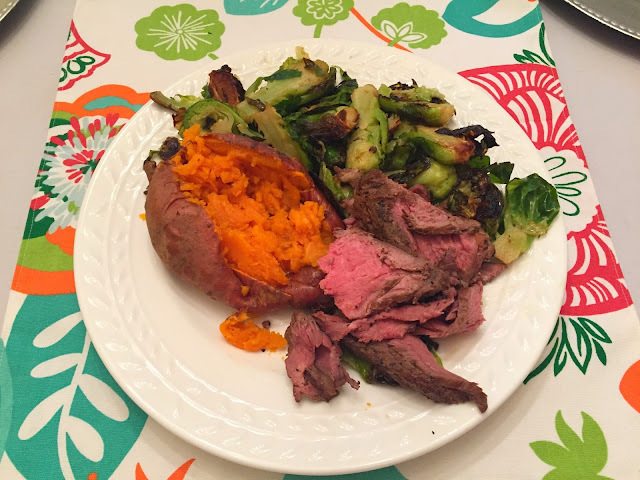 Baked sweet potato, roasted Brussels sprouts, and beef tenderloin. 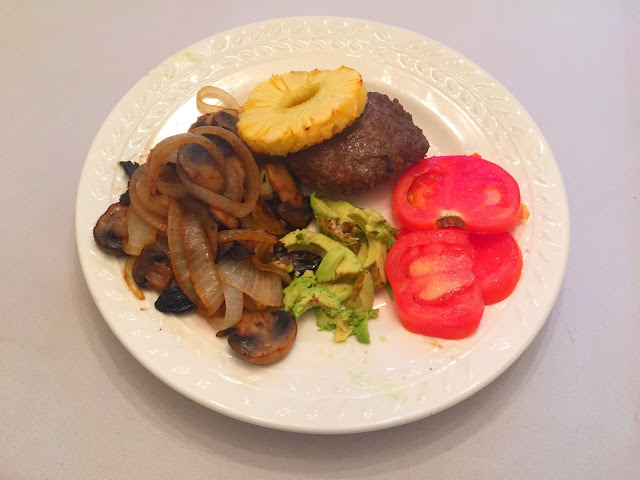 Grass fed beef burger with baked pineapple, tomatoes, avocado and sautéed mushrooms and onions.